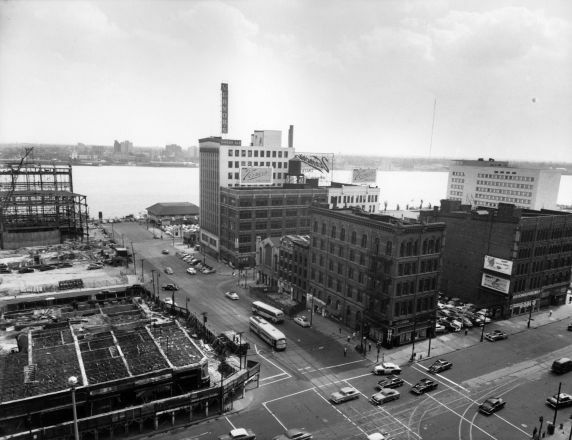 Shows the parts of a city block that was raised to make way for the Civic Center developments, Detroit, Michigan. Old Mariner’s Church can be found in its original location at the center, right. At rear right is the Vernor’s Ginger Ale factory. The steel structure at rear left is the Ford Auditorium in an early stage of construction. The street running north/south is Woodward Avenue.